Getting on the property ladder as a first time buyer certainly isn’t the easiest of tasks. Choosing a buy to let as your first property purchase can be even trickier. The good news is that buy to let mortgages for first time buyers do exist! The main reason why buy to let mortgages for first time buyers can be difficult is simply because some lenders deem them as high risk. Trying to find lenders that do consider buy to let mortgages for first time buyers can seem like a minefield. If you approach an unsuitable lender, it can result in you being declined. Not only is this a waste of your time and money, but can also hamper your credit report. Don’t worry, our specialist advisors are here to help you every step of the way. With knowledge of the entire UK mortgage market, we’re able to approach suitable lenders. Applying to the right lender from the offset is vital in making your mortgage application a success. Buying your first property is an experience in itself, so we’d highly recommend having an advisor on board. Our specialists can find you the best deals possibly available and clarify anything you don’t quite understand. Should I apply for a homeowner mortgage first? As a first time buyer, using a mortgage to purchase a home first is usually the norm. Once you’ve got your first mortgage, securing a buy to let mortgage can be easier. This is because lenders can see your mortgage conduct and whether or not payments have been made on time. Purchasing a buy to let property can be a great investment, but being a landlord entails a lot of responsibility. Having the knowledge and experience of owning your own home first, can provide you with an invaluable insight into what you may encounter as a landlord. On the other hand, you may not need a mortgage for a home, as you may live with parents or a partner. You may have inherited a property that you rent out and want to add to your portfolio. No matter what the reason, investing in a buy to let property can generate you a monthly income. You can also reverse the roles, as being a landlord before you purchase your first home can give you an insight and experience in property. The income generated from your buy to let can also be used to help purchase your home. You may want to purchase a buy to let and move into the property yourself after a few years. You can switch a buy to let mortgage to a residential mortgage. It’s also possible to switch a residential mortgage to a buy to let mortgage. Often enough, your current lender may be happy to do this, depending on your mortgage conduct. Read more: How to switch to a buy to let mortgage. 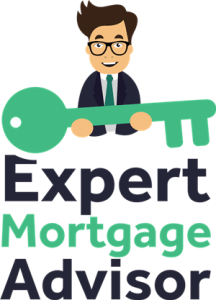 The majority of buy to let mortgage lenders require borrowers to have at least a 20-25% deposit. As a first time buyer applying for a buy to let mortgage, the deposit amount is likely to be higher, but not in every case. Loan to value ratios (LTV) for first time buyer mortgages are a lot lower when compared to buy to let mortgages. For instance, it’s possible to secure a residential mortgage on a 95% LTV, whereas buy to let mortgages usually start from 75%. This is another major reason why becoming a homeowner can be easier than becoming a landlord. Buy to let landlords usually opt for interest only mortgages. Interest only mortgages allow landlords an increased profit on rental income in comparison with repayment mortgages. Each month landlords are simply paying interest on the mortgage and not repaying any of the actual loan back. The drawback is that at the end of the mortgage term, you wouldn’t own the property. On the other hand, a repayment mortgage would result in you owning the home outright once the mortgage is repaid in full. As a result, monthly mortgage payments are higher, limiting your rental profits. If you want a buy to let mortgage before a residential mortgage, be sure to consider the differences in costs and how each loan is structured. Securing an interest only mortgage on a residential property is currently not possible. Using a guarantor to help secure a mortgage is more commonly used for residential mortgages as opposed to buy to let. That said, some lenders may consider the use of a guarantor, especially if the assessment falls just short of approval. It’s important to understand that every lender has a unique mortgage assessment. If ‘Lender A’ is prepared to approve a buy to let mortgage, only with a guarantor, the chances are ‘Lender B’ will approve a buy to let mortgage without a guarantor. This is why having an advisor on board can be so valuable. It’s also important to note that lenders assess buy to let mortgage affordability in a completely different manner to residential mortgages. Underwriters are highly focused on the rental income that a buy to let property can achieve. This is normally at the forefront of whether or not a buy to let mortgage is approved. There are of course other factors, such as the credit and income of the applicant, however, rental income is a huge factor when it comes to buy to let mortgage approval. 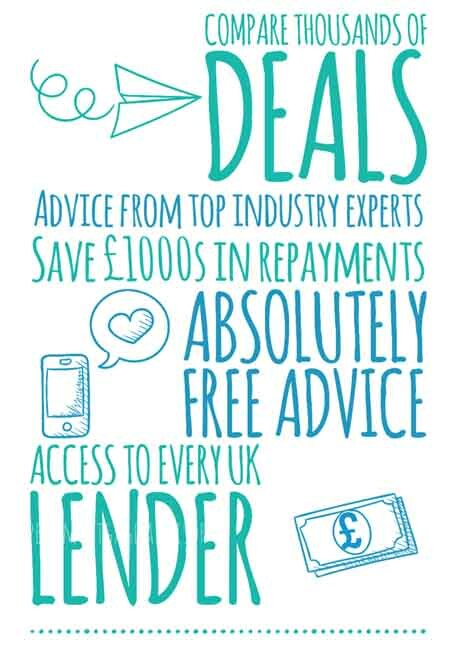 If you’re still in search of mortgage advice or have some unanswered questions, you can make an enquiry with an advisor below or call now on 0800 195 0490.